Most IT systems fail to meet expectations. They don't meet business goals and don't support users efficiently. Why? Because the requirements didn't address the right issues. Writing a good requirements specification doesn't take more time. This book shows how it is done - many times faster and many times smarter. 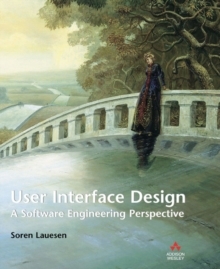 This book covers many aspects of requirements. 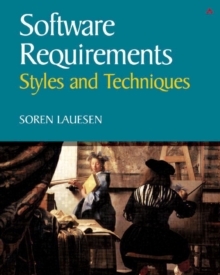 Styles: Traditional and more cost/effective ways of expressing requirements. Techniques: Ways of gathering, verifying, and maintaining requirements; ways of getting commitment from the stakeholders and support - yet limit - innovation; ways of ensuring that you meet your business goals. It discusses the styles and techniques useful for different project types, for instance software developed specifically for the customer, software bought off-the shelf and adapted for the customer (COTS), and software developed for a broad market. The book illustrates everything through real-life examples. It also deals with difficult requirements, for instance how to specify ease-of-use, how to specify very complex computations, and how to deal with 200 reports that the old system has, and the new system may or may not need. The book shows two complete, real-life specifications and large parts of several others. It also has exercises and figures for presentation.